Nixplay Cloud Frames are the easiest way get in touch with your photos. Place the frame in your loved one's home and easily email or send photos using the Nixplay Mobile App for iPhone & Android. Using Wi-Fi connectivity, display photos sent from anywhere in the world. Manage multiple frames from one Nixplay Cloud Account: FREE Sync up to 5 frames and enjoy 10GB of photo storage. 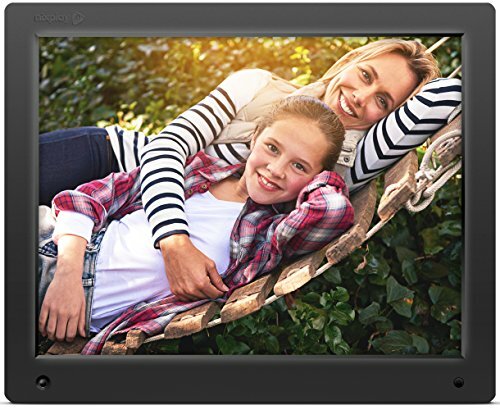 Perfect for multiple frames for the whole family, anywhere in the world. Anti-glare LED Backlit display, premium matte Rubberized Surface Finish, Wi-Fi connectivity, VESA wall mountable.